what hair did you use on the first pic? cant find it on the pack i downloaded. 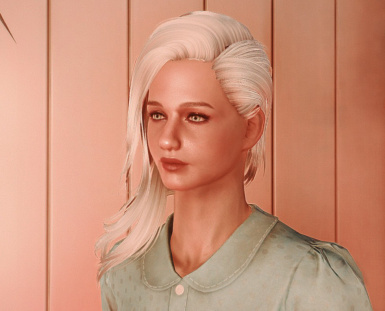 and also my character doesn't really look like the pic which is a shame because this preset looks amazing! 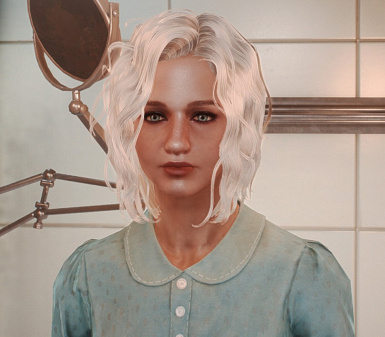 OOh the hair your looking for is available from the MiscHairStyle pack which can be found HERE. You will find the download link for it at the bottom of the page and then you can just download and install it manually via your preferred Mod Manager. Mine kinda looks like your photos but a little older. She has these somewhat pronounced crows feet under her eyes that I don't know how to get rid of. 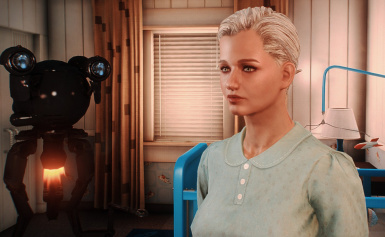 I have all the required mods except Extended Facial Sculpting. Had to remove two major scars from her face though. I'm using Valkyrs face textures with Oni face parts and FSM body textures. It looks OK in my game. I wonder if the missing ingredient is Extended Facial Sculpting. 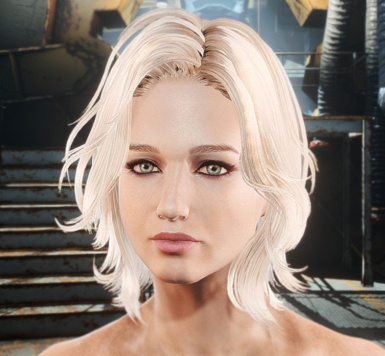 Someone below posted that they have all of the required mods and still no JL look-a-like. Anyway I like it enough to keep it. Thanks. 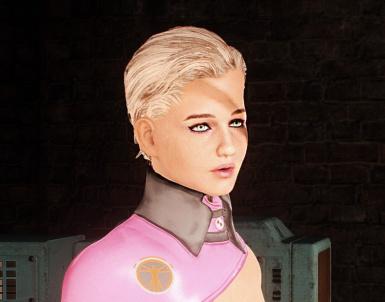 Not the dead-on likeness for JL as in the mod author's screenshots, but sort of a different, more experienced (and older) woman. Damn. What graphics mods do you use? Hey, you'd be surprised how little -- almost nothing character-related, only things listed as requirement for the mod, e.g. 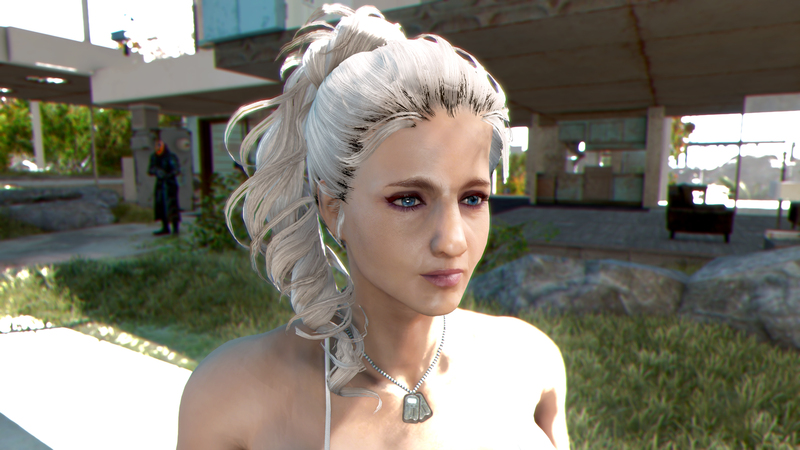 KS Hairdos, and maybe a high quality eye replacer (Eyes of Beauty). CBBE for body. Most mods I have installed are environmental, including some of the most popular ones like FlaconOil, etc. NAC for overall look, and lots of armor, weapons, things like that. PRC for ENB, but those particular shots are no ENB (looks washed-out in ENB). I have a layer of ReShade with SMAA, AmbientLight, MXAO, DOF, going, and that would just about cover it. Fixed it..turns out I didn't have oni-face parts installed. This is amazing. I seem to have a different problem from everyone else. 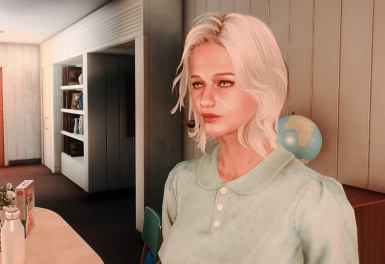 I can get the looksmenu convert to look 100% like the mod images. 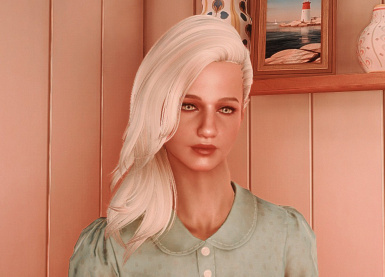 (I am trying to make a hunger games follower) However, once I log out, and log back in, the face gets distorted, with a giant forehead and giant nose. It looks fine in game when I first make the conversion, and I can fast travel, sleep, whatever, and the present remains fine. But closing the game and opening it again causes the distortion. I have the required mods, I've tried it without Oni, without Extender, and with both and with only one of each. Every combination. I get no change in game when I make the preset change based on which of those mods is installed, and I get no changed to the distorted version when I close the game and reopen. I've even went back to an original unmodded savegame to try. Anyway, I've exhausted all my ideas at this point, I"m super casual at modding, so it could be something simple. I'll add I've only tried this with piper. I'm gonna try with a rando npc and see what happens now that I think about. Again though, this is awesome work. I've been trying to attempt this with Kate Beckinsale from underworld but Im not very good at it so far. 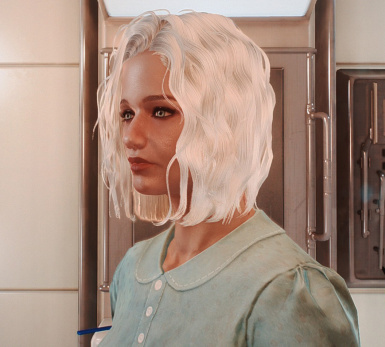 try it with curie or cait im sure it wont happen with them, i also have tried countless times to change the appearance of pipers face but it always does the exact thing you described after i start up the game again but with the other female followers i can edit them as i please and they dont distort so yeah i cant tell you have to fix it on piper, only that it wont happen with the others. 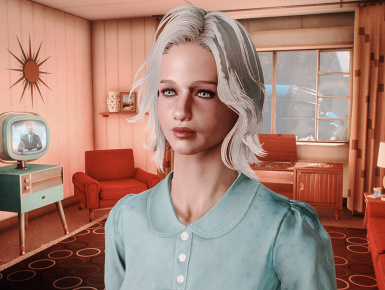 To follow up, my issue didn't change when the preset was added to a named NPC at one of the settlements. 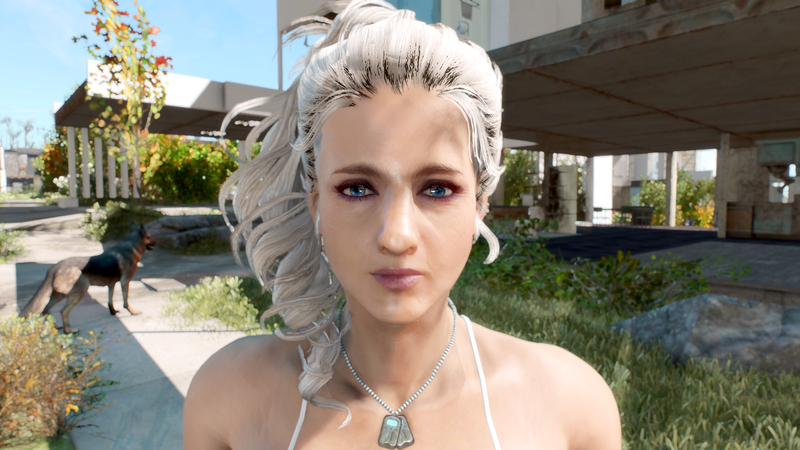 I've uploaded pics of the good preset application that I can play the game with, and then what the preset looks like after closing the game and reopening it. Any ideas are appreciated at this point. I'm probably the only dude who doesn't understand the hype, I guess she's okay. . .
Daaaamn, looks just like her! Well done! 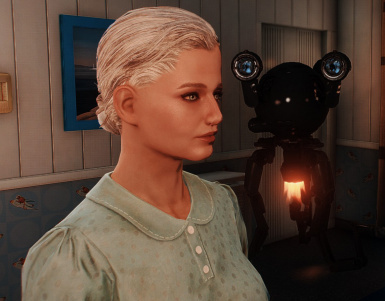 Would make a great Curie! However, I'll try switch it out I think, just to see if it fits with her French accent. Same here. I have all the required mods. See? As someone else said earlier in this thread, I like it enough to keep. Actually, in some ways, I like this more "experienced" look even better (although it's not quite JL). Damn still doesn't look the same after the update, what am I doing wrong ?